Got a two-car garage, but only enough room to park one car? Don't be embarrassed. 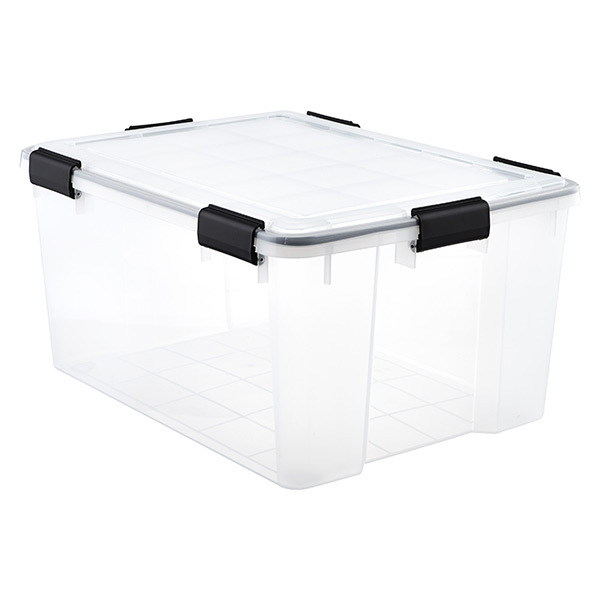 With storage at a premium, it's a pretty common situation. 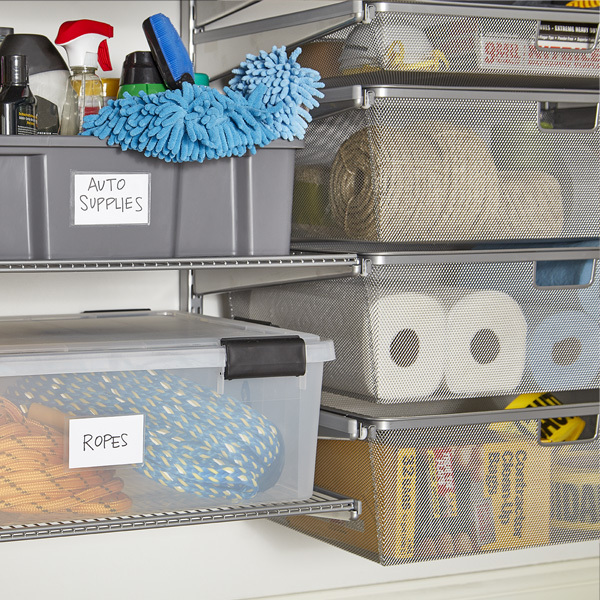 Thankfully, garage shelving can make a world of difference in organizing your garage space. 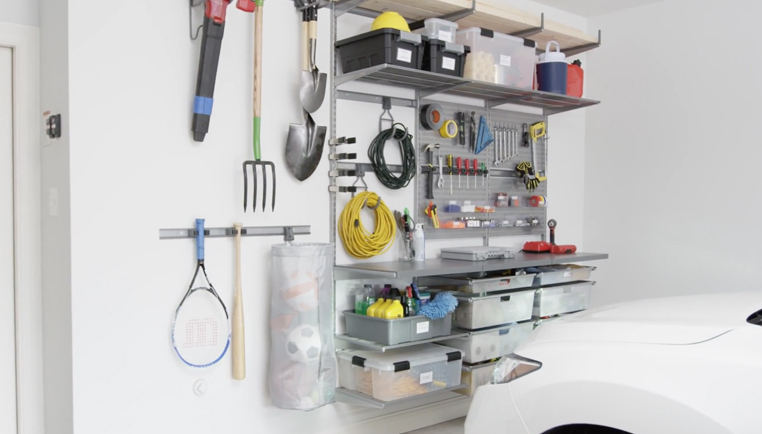 Having the right shelving in your garage can make a huge difference in how easy it is to organize. Abig part of this project is going through everything in your garage, getting rid of the things you don't need and putting the things you want to store in the proper containers. 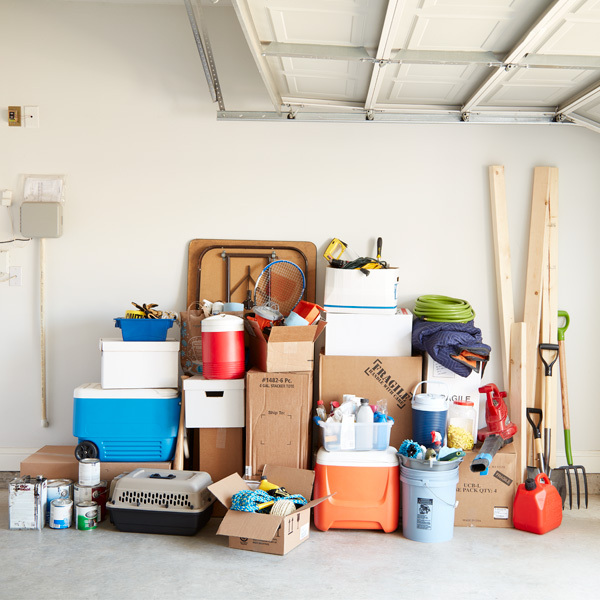 Most likely, your garage has accumulated a lot of miscellaneous items. 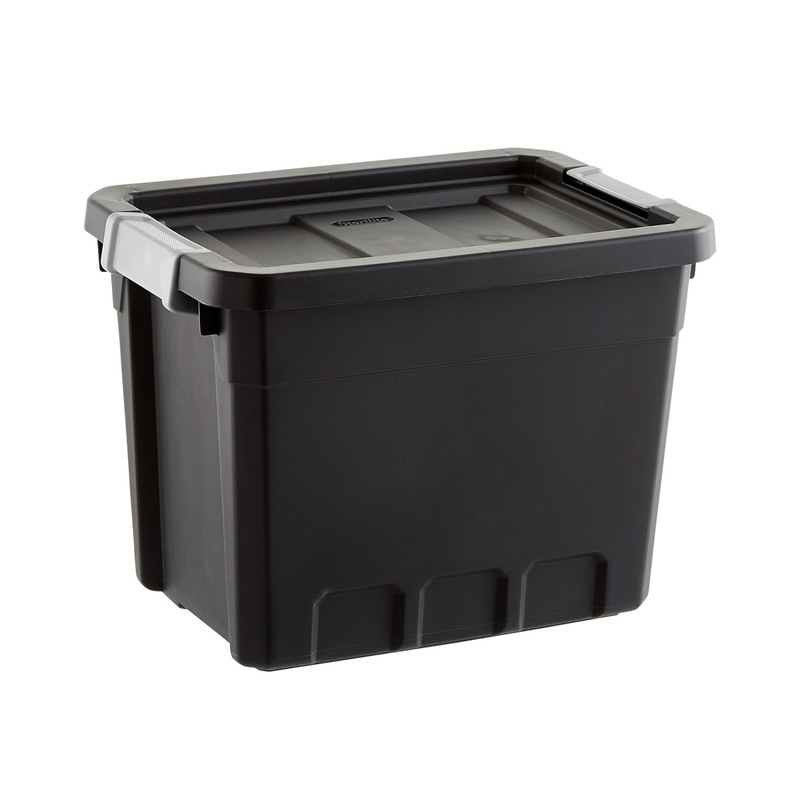 Bring in a large trash bin and recycling container and go through everything. 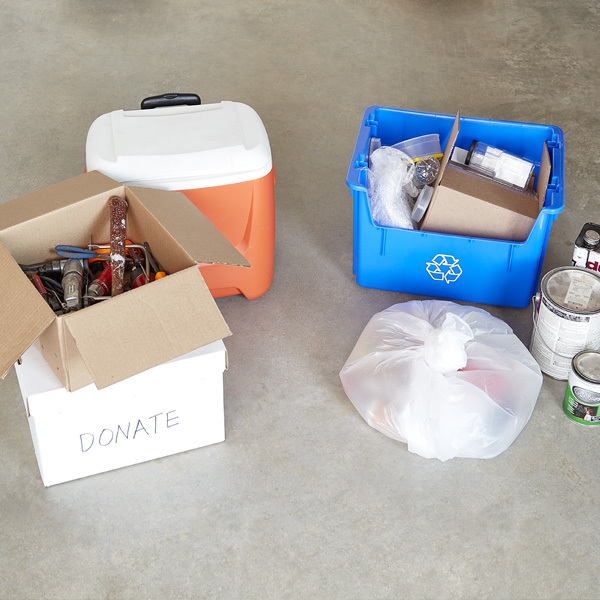 Discard damaged items and make a pile of things to donate or sell. 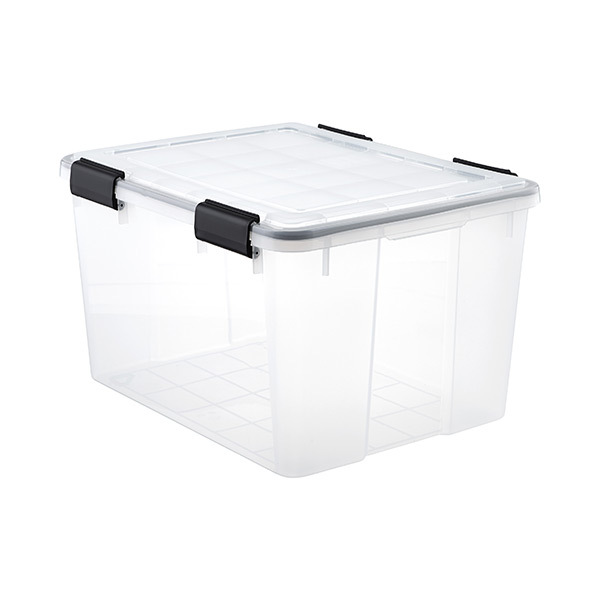 Now is also the perfect to upgrade your storage containers. 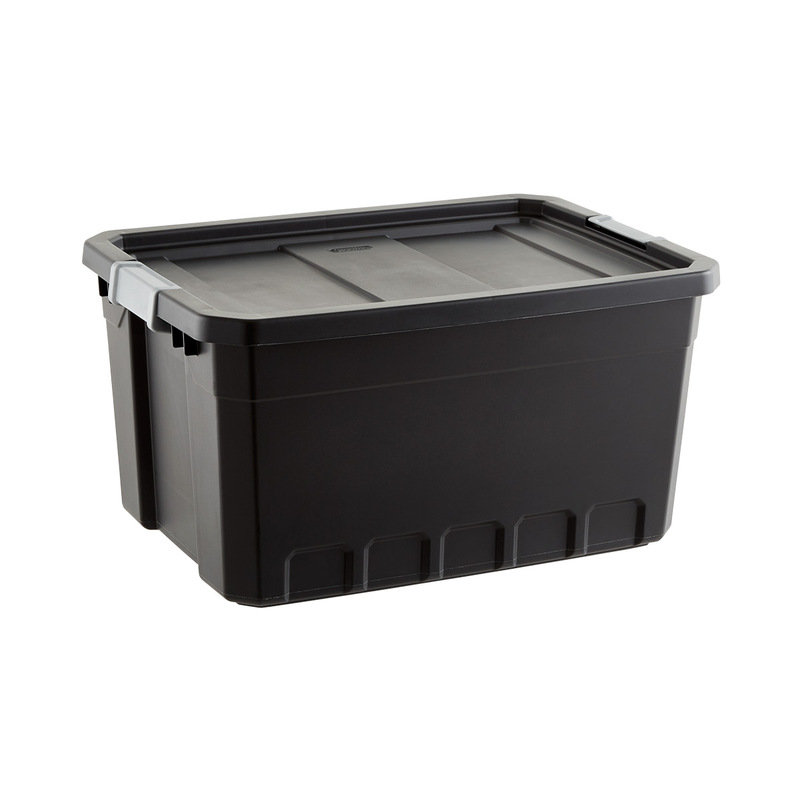 Get rid of cardboard boxes or flimsy containers. 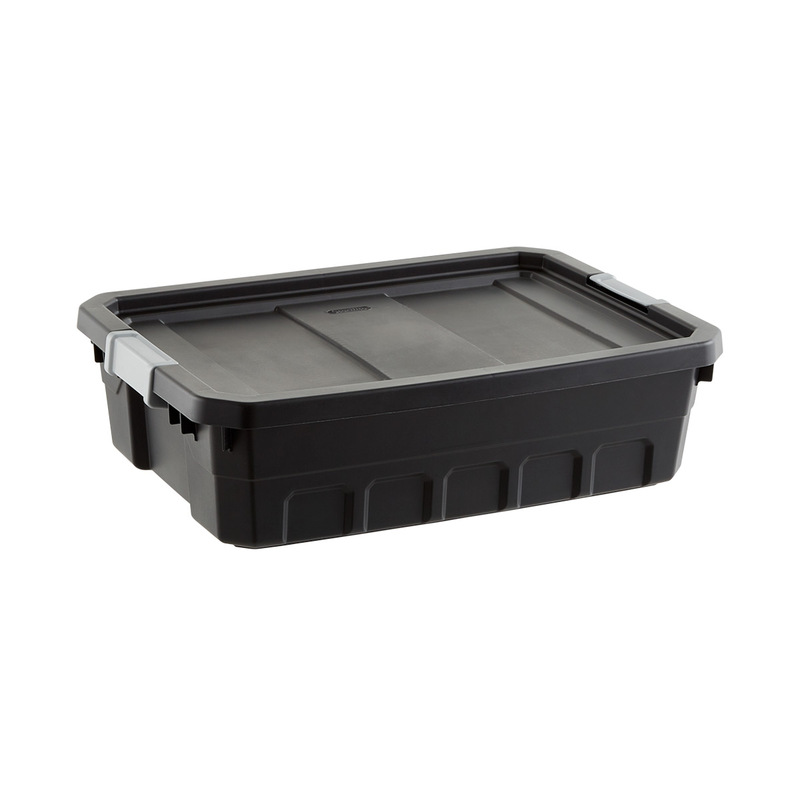 Replace them with sturdy and secure containers that can be labeled and stacked. 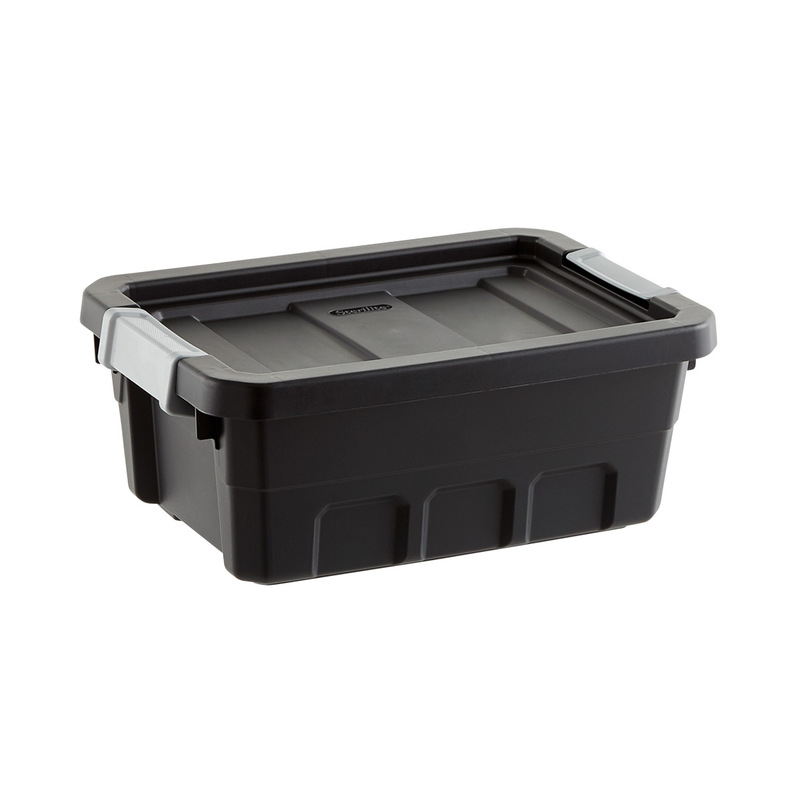 We recommend using containers like our Weathertight Totes to protect contents from dust, pests and water. Labeling makes things easy to find and put back. Be sure to label clear containers too! 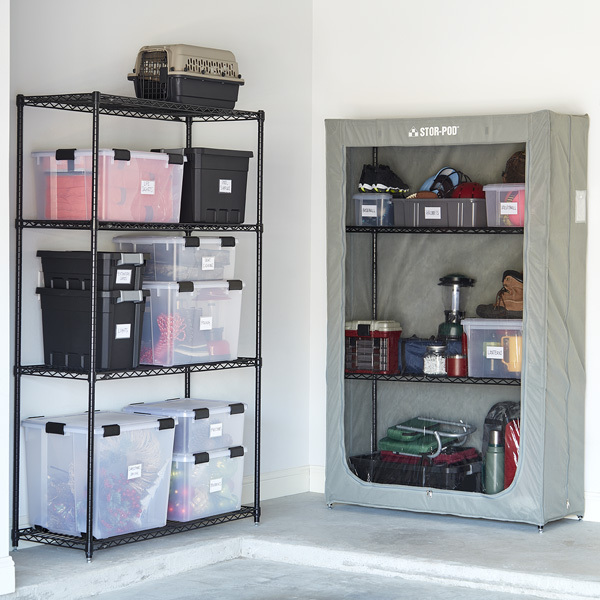 Make room for your vehicles by getting everything off the floor and onto the wall with shelving. Our Elfa shelving and drawer system is a great option. 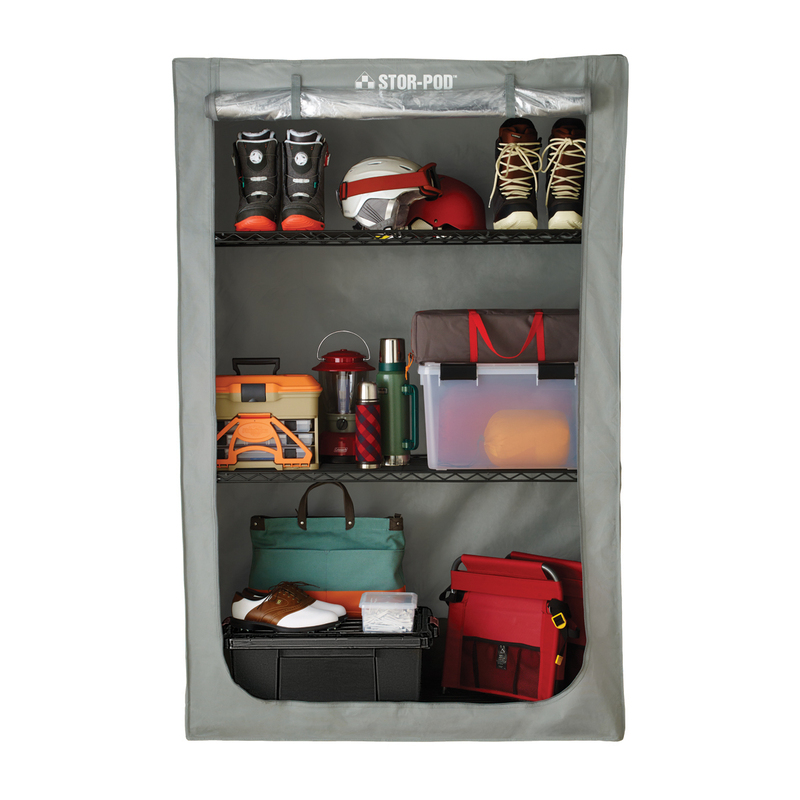 It's made to handle everything from tools and hardware to lawn- and sports equipment. 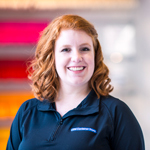 It's easy to install, or we can install it for you. 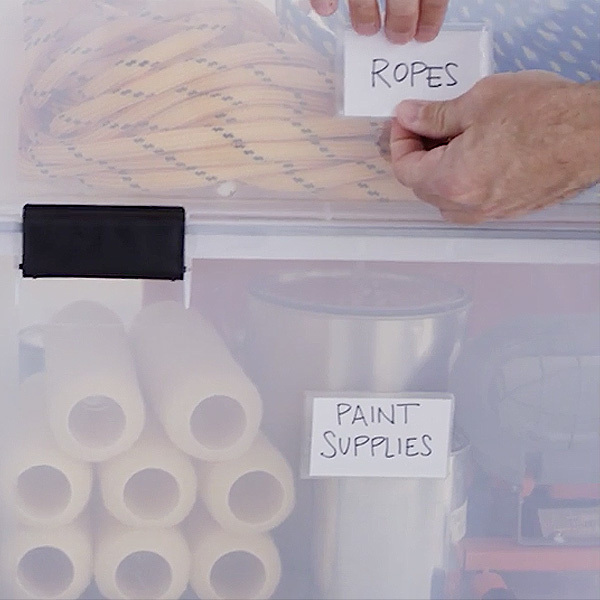 Stack your labeled containers on your shelves. Put the items you most frequently access on the lower shelves. 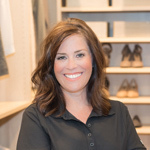 Use the top shelves for things you access less often. 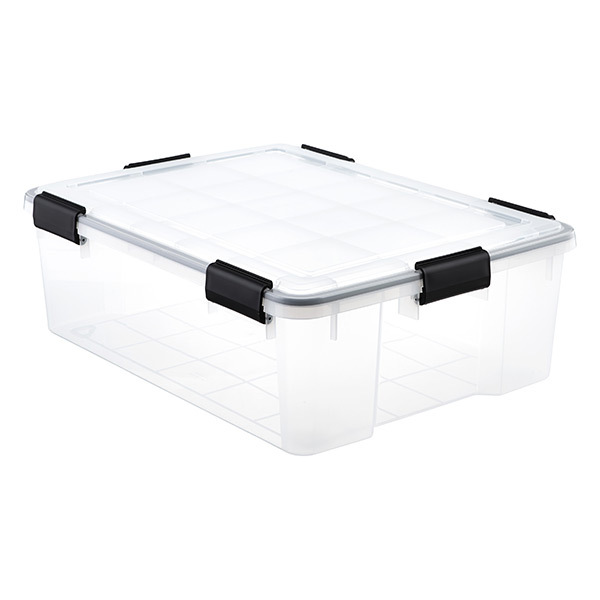 Use the drawers in an Elfa solution to store things like paper towels, car cleaning supplies and lightbulbs, and ventilated wire shelves for holding everything from manuals to storage bins. 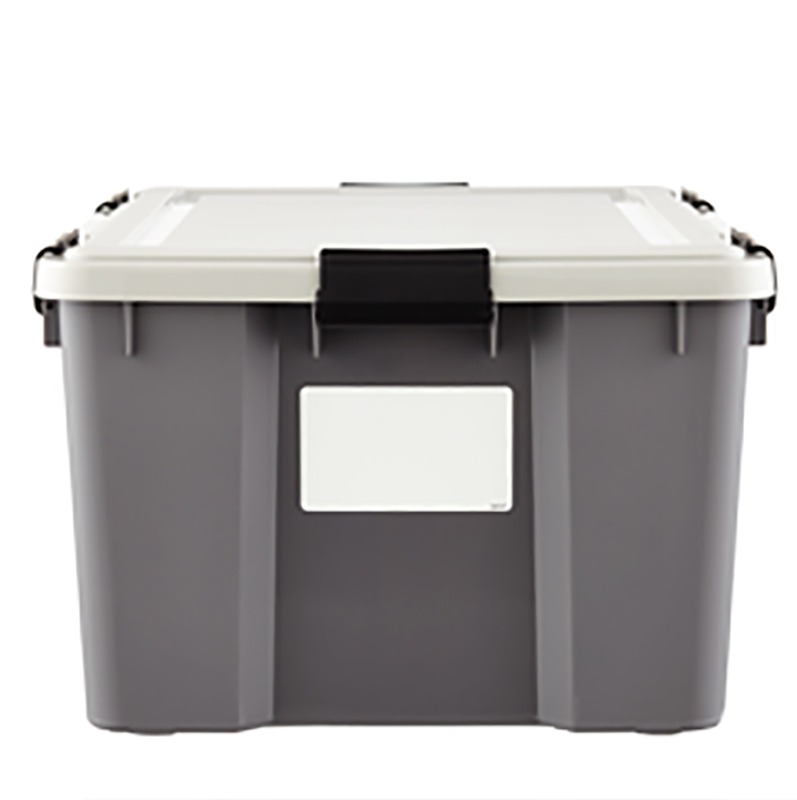 Put long-term storage bins on upper shelves, and hang a step ladder nearby. 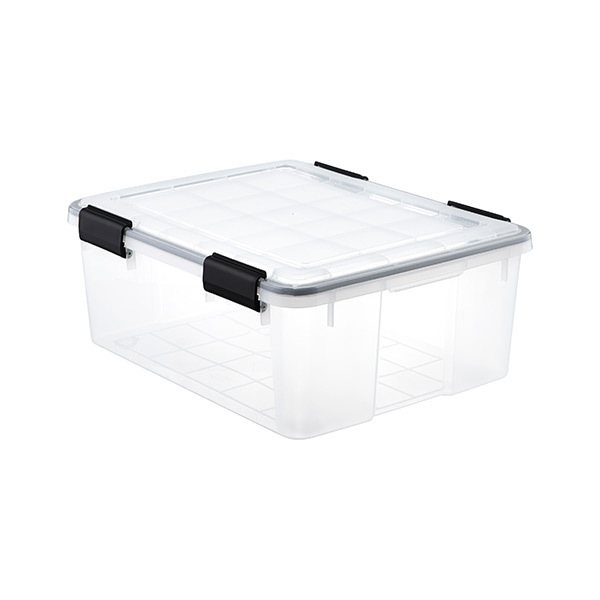 Need to store something new? 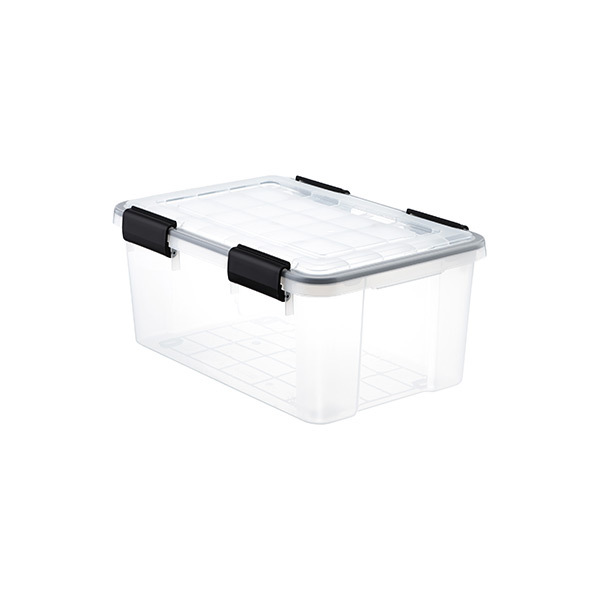 elfa Shelves and Drawers can quickly and easily be re-positioned as your storage needs change. Easy to see means easy to find. 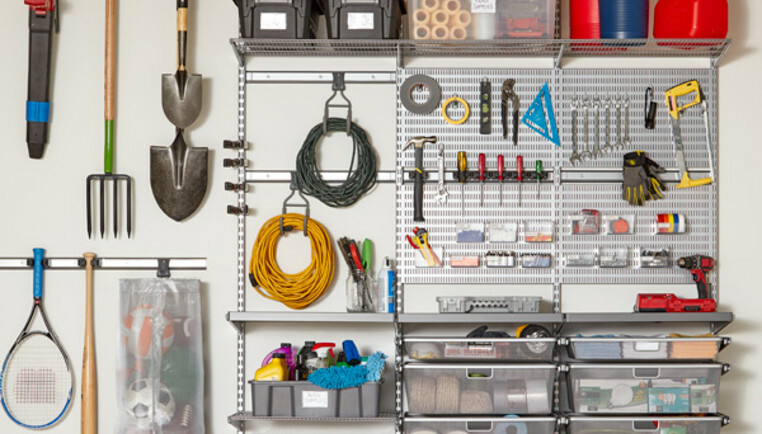 Keep household tools and regularly used hardware visible by organizing them on Elfa Utility Boards. 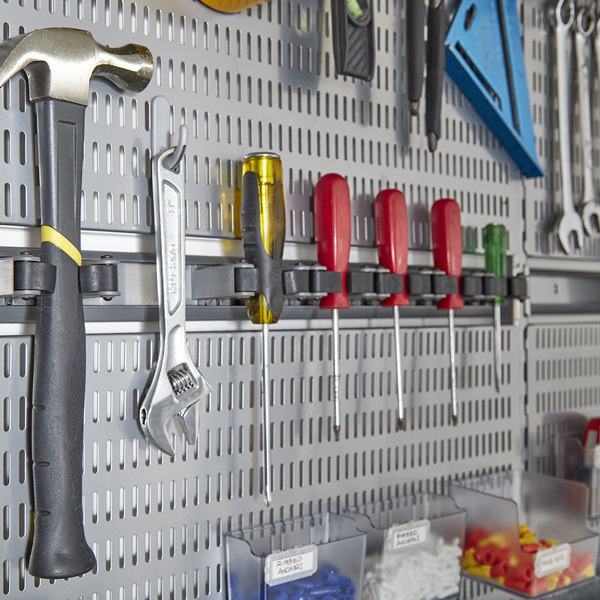 A variety of hooks, bins and shelves are perfect for keeping your hammer, pliers, screwdrivers, nails, tape and other project essentials handy. Finally, organize all your lawn tools and sports equipment on the wall using Elfa Utility tracks and specialty hooks. You can also use stand-alone shelving to clear your floor of clutter. 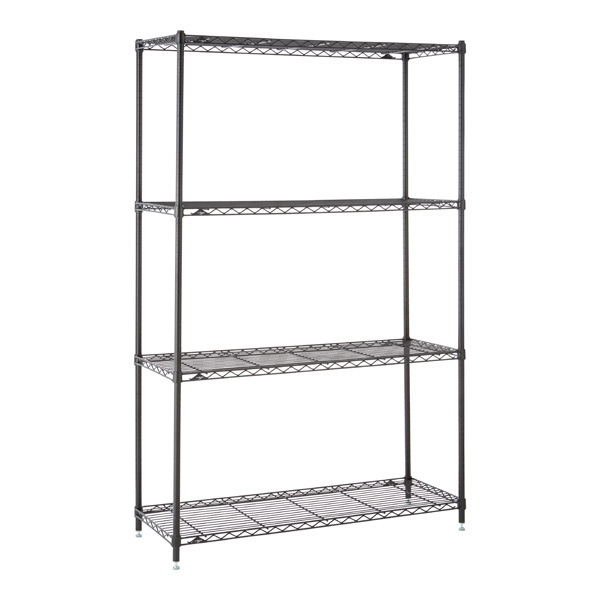 Metro and InterMetro shelves are good options as their steel shelves are adjustable and designed to handle heavy loads. 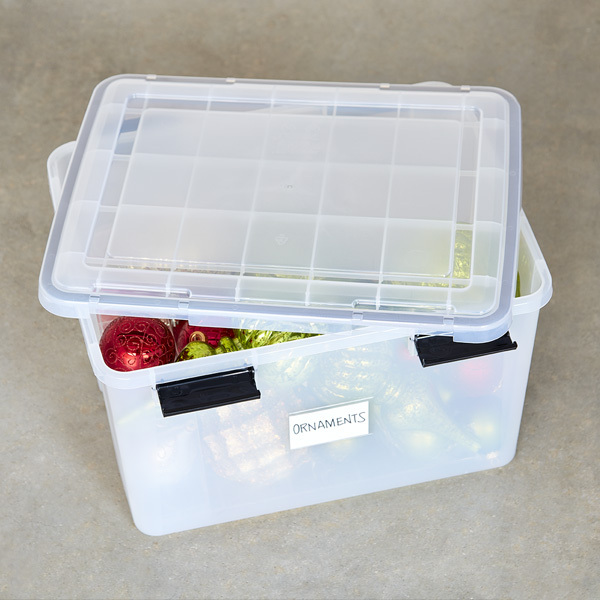 Add labeled bins to make items easy to access. 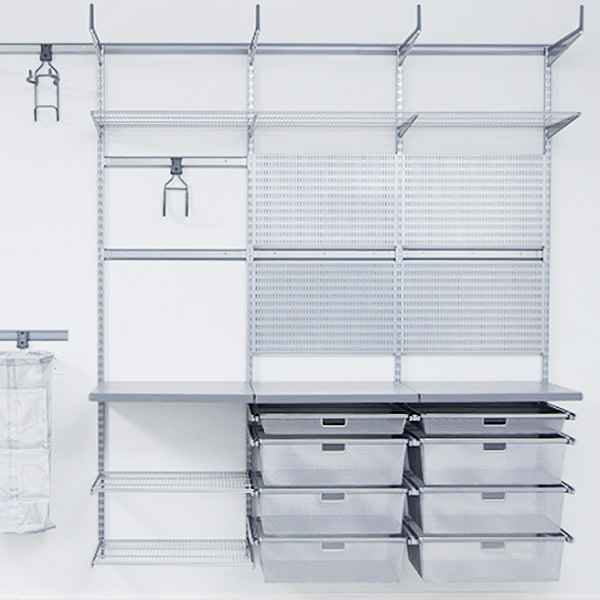 You can even add wheels, making it easy to move your shelving system anywhere. 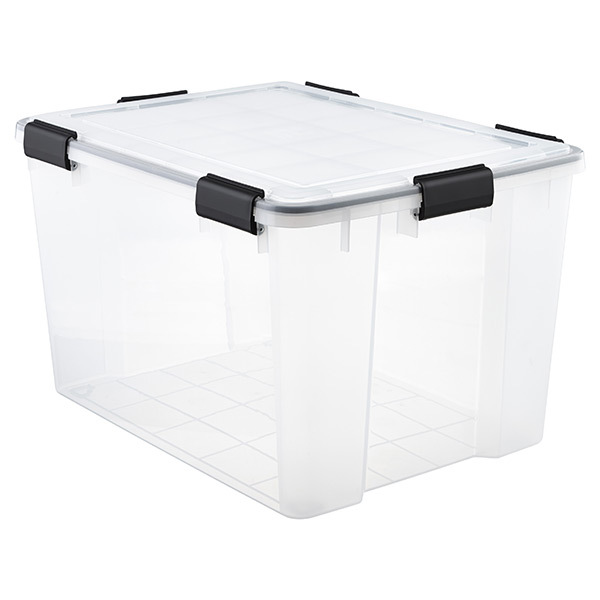 Quick Tip: Need to protect items from dust? Use a cover over your freestanding shelving. Group the same type of items together on your shelves to create zones. And make sure to put things back where they came from after you use them. You now have a system that everyone in your family can use. Now that everything is put away and off the floor, you have room to park your cars!